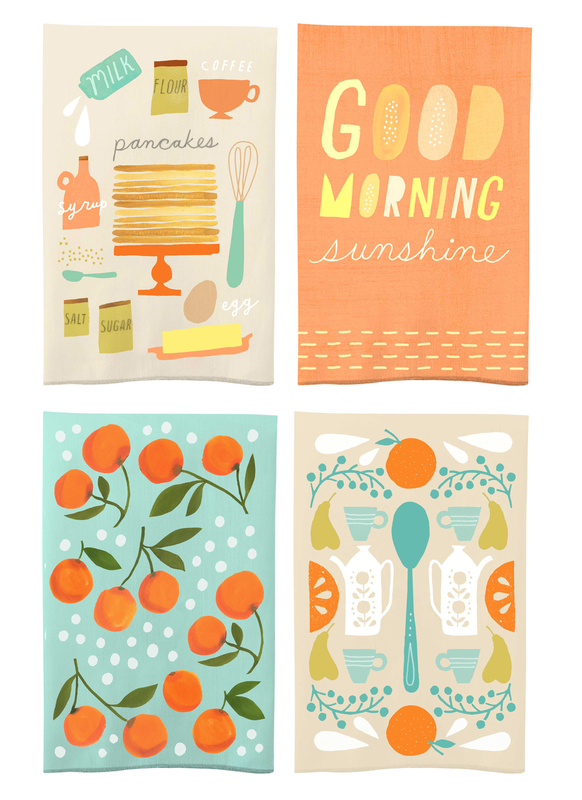 Translated Illustrator Amber Goodvin’s artwork into the “Good Morning Sunshine” kitchen gift set, determining format, application, materials and styling. The collection will exclusively be in Gold Crown stores July 2016. The illustrator had time to do tea towels. But the product teams wanted a full gift collection. They handed me the artwork and said, "What If?" I applied the artwork to multiple products, considering format, material and application. Breadth and function were the pillars of the collection. Fresh, fun and playful! This collection will bring a smile to anyone's morning.